An Oklahoma lawmaker demanded last week that state medical board executive director Lyle Kelsey resign his position immediately amid allegations that he and his staff conspired to ruin the medical practice of a successful Tulsa spine surgeon according to Red Dirt Report. 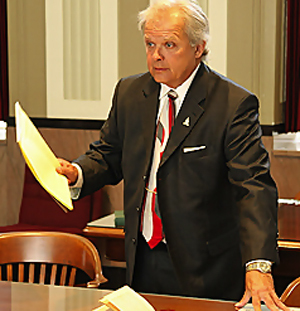 Witnesses at a legislative hearing called by state Rep. Richard Morrissette (D-Oklahoma City) testified that Kelsey, his staff and medical board members actively sought complaints over a five-year period from medical malpractice attorneys in order to build a case against Tulsa surgeon Steven Anagnost. Morrissette and a handful of other lawmakers also heard about damaging conflicts of interest that prevented Anagnost from receiving constitutionally-protected due process hearings at the medical board. 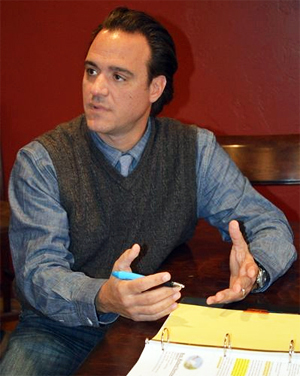 Although the agency spent more than $700,000 on the case, Anagnost retained his medical license and was never disciplined by the board. In addition, medical board internal emails and memos obtained by Red Dirt Report show the agency tried to encourage credentialing committees at Tulsa hospitals to rescind Anagnost’s surgical privileges without proving he had done anything wrong. Other emails show medical board advisor Eric Frische and the agency’s investigative team described Anagnost as a “charlatan” and “sophisticated crook” based on his expertise and success with Minimally Invasion Spine Surgery (MISS). To read more from Red Dirt Report, click here. This entry was posted in State on January 20, 2015 by admin.